President Trump’s flagship Florida private golf and resort properties — Mar-a-Lago Club and Trump National Doral – both showed revenue losses in 2018, according to the President’s latest government public financial disclosure report. Trump’s South Florida “White House” and home, a National Historic Landmark located in posh Palm Beach, is valued at more than $50 million and recorded $25.15 million in “resort-related” revenue, according to his latest financial disclosure report signed May 15. The 2018 income is a 33 percent decline from his June 2017 report, when Trump showed $37.25 million in revenue. Mar-a-Lago was built from 1924 to 1927 by cereal-company heiress and socialite Marjorie Merriweather Post. The President purchased the property in 1985, including the exquisite 126-room, 62,500-square-foot house that contains the private members-only Mar-a-Lago club with guest rooms, a spa, and other hotel-style amenities. It is less than 10 minutes from Trump International Golf Club, West Palm Beach, which was Trump’s foray into the golf club ownership business. Meanwhile, Trump National Golf Club in nearby Jupiter, formerly part of the Ritz-Carlton Destination Club prior to Trump acquiring the asset from Marriott, recorded $14.26 million in income this year after generating $20.13 million in 2017. This private golf club is also valued at more than $50 million. Further south in Miami, Trump National Doral, once the famed Doral Golf Resort & Spa, was another Florida golf and resort asset that lost money year over year, dropping to $74.76 million in overall revenue in 2018. It was a 35 percent revenue decline from 2017, when the resort also valued at “more than $50 million” generated $115.86 million. Trump Hotel Collection assumed management of the iconic resort nearly six years ago after the Trump Organization closed on the financially distressed asset. 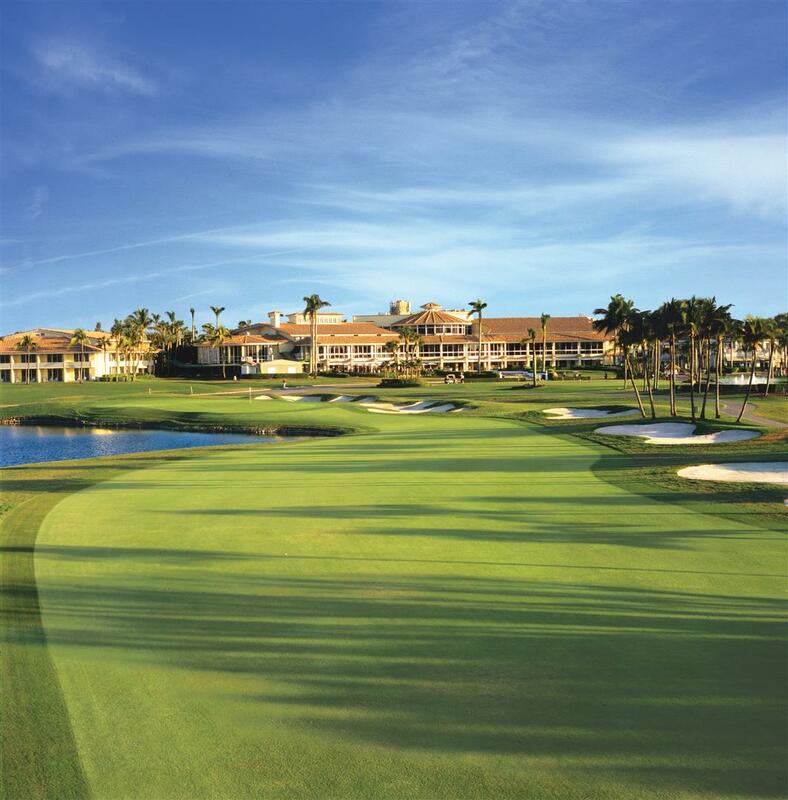 Known for its five championship golf courses, including the legendary Blue Monster, Doral once represented the pinnacle of luxury and served as a longtime venue to the PGA Tour. After purchasing the resort, Trump soon invested some $200 million in capital improvements to the almost-800-acre resort – including its 700 guestrooms, vast ballrooms and meeting facilities, and sprawling spa — and the Trump Hotel Collection aggressively repositioned the resort over the subsequent 18 months to restore this magnificent Miami property to its former glory of 1950s and ’60s. “Every year, my father and mother would take me to Doral for a weekend. It was the ultimate treat for me. It was beautiful,” President Donald J. Trump was quoted as saying in a written statement at the time of the takeover. As part of the Trump team’s massive renovation, golf course architect Gil Hanse worked directly with Trump and PGA Tour leadership to completely rebuild the Blue Monster and Doral’s other courses. Of course, besides Trump’s signature private golf and resort properties in Florida, Trump now owns numerous other private golf clubs in Charlotte, New York, New Jersey, Virginia and California to name a few places. Besides Trump National Doral, none are perhaps as high-profile as the famed British Open venue, Trump Turnberry in Turnberry, Scotland. And unlike Florida, Trump’s beloved Scottish resort actually turned a big-time profit this year, growing its revenue 41 percent to $20.39 million from $14.49 million a year ago. Elsewhere in Doonbeg, Ireland, the President’s only other European golf asset, Trump International Golf Links – Doonbeg, increased its income to $14.18 million this year, a 14 percent gain from the previous year’s $12.5 million.